We are “Lutherans” in more than name only, and we offer a clear alternative to large churches and synods which have sacrificed the truth to be “trendy,” as well as to small so-called “conservative” groups which are known for pet agendas and fanatic views. 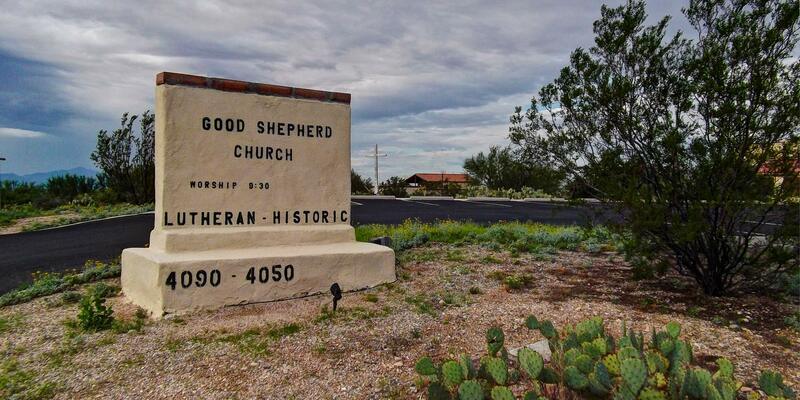 Good Shepherd Lutheran Church is by God’s grace a truly orthodox Lutheran congregation in doctrine and practice. It holds to the Holy Scriptures as the verbally-inspired, inerrant, clear, and infallible Word of God, which is and ever must be the only source and norm of Christian doctrine, as well as the only reliable measure and standard of Christian practice. Besides the canonical Scriptures of the Old and New Testaments, our fellowship accepts all of the confessional writings comprising the Book of Concord of 1580 as a correct exposition of Holy Scripture in the matters treated, as well as the Brief Statement of 1932 (drawn up by the Missouri Synod in the long-gone days of its orthodoxy) as a further such correct exposition of Holy Writ and an uncompromising basis in our time for God-pleasing union between us and other Lutherans. In these last days of sore distress, in which even so-called Lutherans “will not endure sound doctrine” but will rather have their ears tickled with what they want to hear (II Timothy 4:3-4), we offer a clear alternative; and we eagerly invite your further inquiries concerning our church! Communicant membership is established by a transfer from a congregation already in our fellowship OR by profession of faith after a period of instruction in the chief articles of Christian doctrine. Classes can be arranged to fit most schedules by contacting our Pastor.